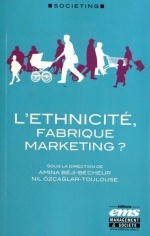 Book edited by Amina Béji-Bécheur and Nil Özçağlar-Toulouse published in 2012 by Editions EMS Management & Société (France). Amina Béji-Bécheur, Nil özçağlar-Toulouse and Sondes Zouaghi. Paper published in Journal of Business Research 65 (2012) 504–510.